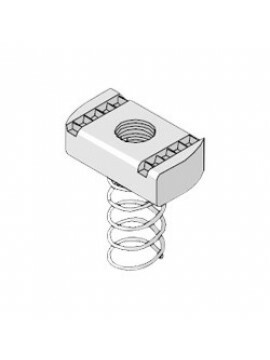 We specialise in the supply of support and cable management products and solutions, and our range simply wouldn’t be complete without our collection of channel nuts and wedge nuts. 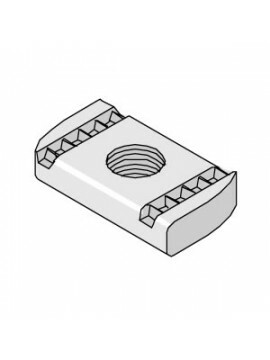 Available in a multitude of sizes to suit a wide variety of applications, our wedge nuts, often referred to as V nuts, are designed to fit the re-entrant channels of various composite flooring systems to ensure easy installation and the highest level of support. The channel nuts we stock have an equally important role to fulfil, and feature indentations to complement strut channels and provide unrivalled gripping strength and security. 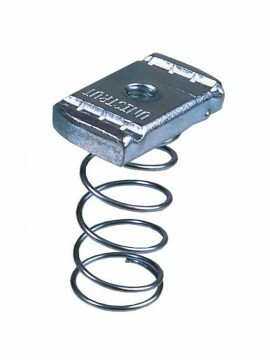 At DP Building Systems, we stock a number of channel nuts and wedge nuts from leading manufacturers like Unistrut. 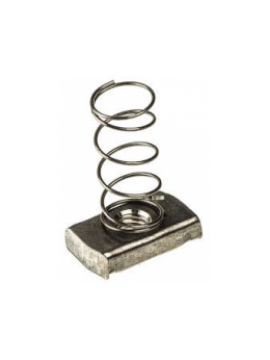 The products are made from stainless steel and are available in a host of sizes and styles to suit various uses throughout the electrical and mechanical industries. As well as providing the wedge nuts and channel nuts you need for your specific support or cable management project, we also provide an in-house cutting service from both our Birmingham and London branches so that the channels working with such products can be cut in any quantity to the length you require.